2013 started with my first ever Ultra race. 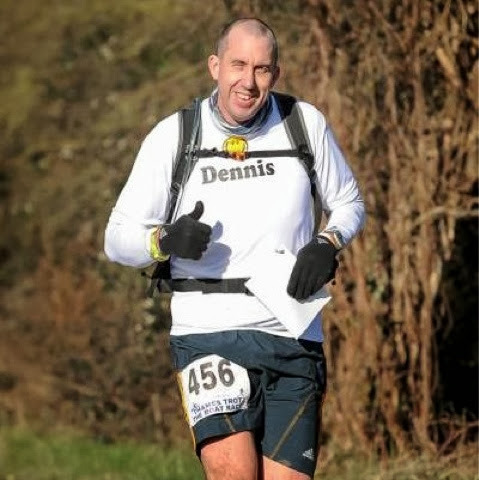 I had previously ran 44 miles sweeping the NDW50/100. 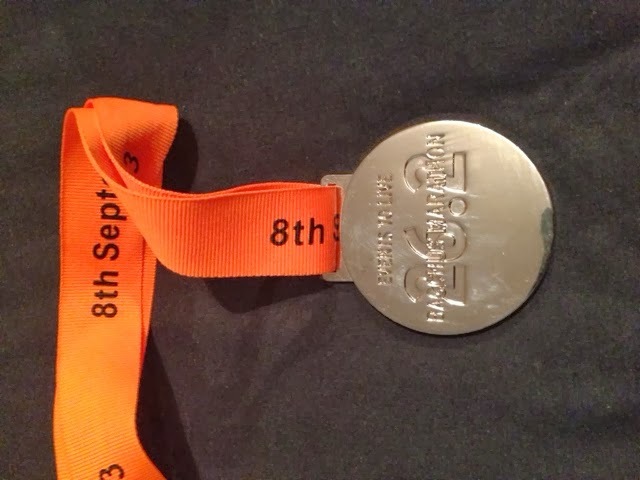 My first ultra race was the Go Beyond Thames Trot 50. Unfortunately due to heavy rains leading up to the race, it had to be rerouted due to flooding on the Thames. Michael Sartorius buddied me on this race, dragging my backside round the now 44 mile course in 8hrs59. The following weekend I helped my friend Beccie Van Ostrum to her first sub 2 half at the Wokingham Half Marathon. The 3rd of March was my first DNS. Way to ill to attend the Silverstone Half Marathon, I stayed in my pit. 17th March was the Fleet Half Marathon. A nice local event. After a Garmin failure, I got my sorry backside around in 1.57. 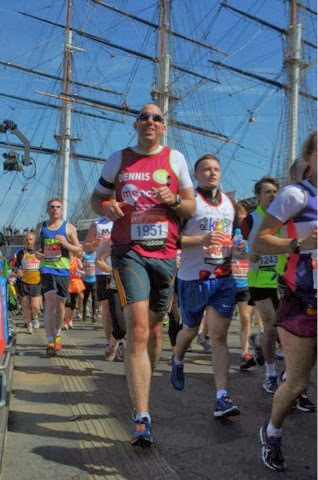 23rd March and I was back on the Thames, this time sweeping 38 miles of the Thames Path 100. Again the Thames had flooded and the race started in light snow. A good course recce and where I meet Sian Lewis. 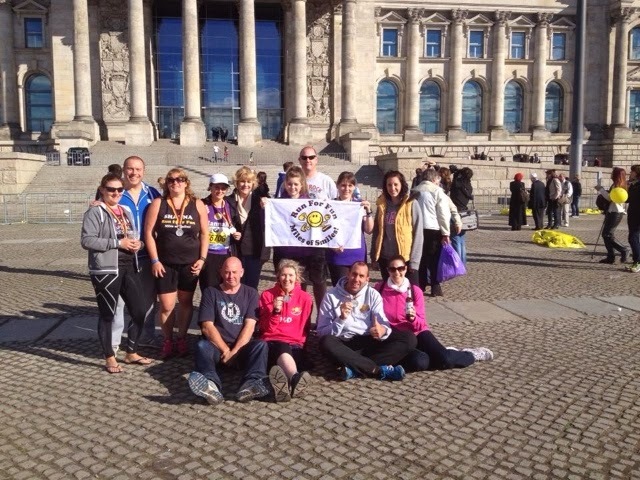 31st March was the Stroke Association 15km, it was also the first anniversary of Run for Fun. 14th April and a return to marathon running. This time the Brighton Marathon. A mixed weather day, starting cold and finishing sunburnt. 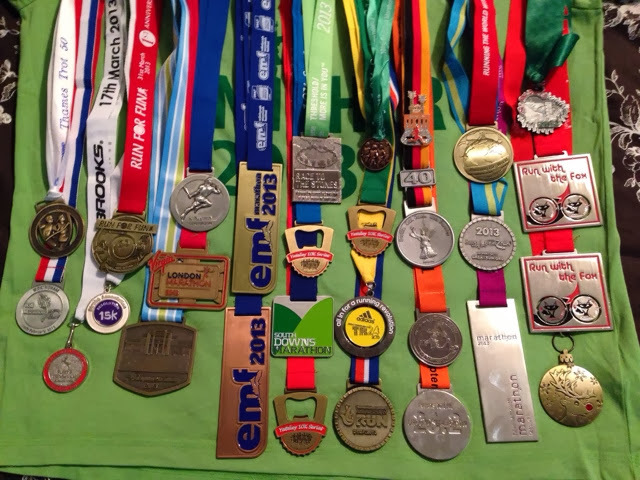 21st April and my first world major marathon, the Virgin London Marathon. Another beautiful day, but on tired legs, wasn't the success I hoped for. The atmosphere was amazing and enjoyed meeting up with fellow rffs at the start and finish!! 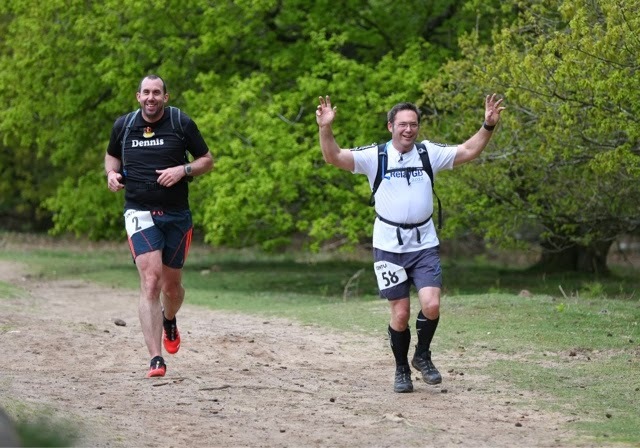 18th May and it was time to put some demons to bed on the Centurion Running North Downs Way 50 ultra. I ran the race with Martin Bushell, a lot of the time having a good laugh, it's surprising how easy hills are when giggling over Monty Python sketches!! We got to the 44 mile aid station in just under 10hours. This is where I stopped in 2012. It took a further 3 hours to cover the next seven miles, but job done!! The following week, and I was up in Edinburgh for the EMF weekend. Running the 10k on the Saturday. It was roasting! Not what I was expecting in Scotland. The route also went up that bloody volcano! After a wonderful meal with many rffs, Sundays marathon arrived. I started running with Chris Murray, but just up to halfway, my legs finally rebelled and completed the marathon in just over 5 hours. Not bad considering they had done 50 miles the weekend before, plus the 10k on the Saturday. It was great to spend so much time with runners who have become good friends. It was also awesome to run the final mile of Maureen Murray's first marathon at the youthful age of 68! 5th June was the first of the three race series, Yateley 10kms. With all the long distance stuff, my legs struggled to cover the short distance. 22nd/23rd June was my first ever 12 hour event. The Brutal Enduro. The race started at 9pm and was 10km of muddy hilly terrain. Living upto it's name, Brutal. I ended up with bad stomach cramps during the night in the rain, covering 50km. 3rd July was race two of the Yateley 10km, a little quicker than the month before, but nothing great. 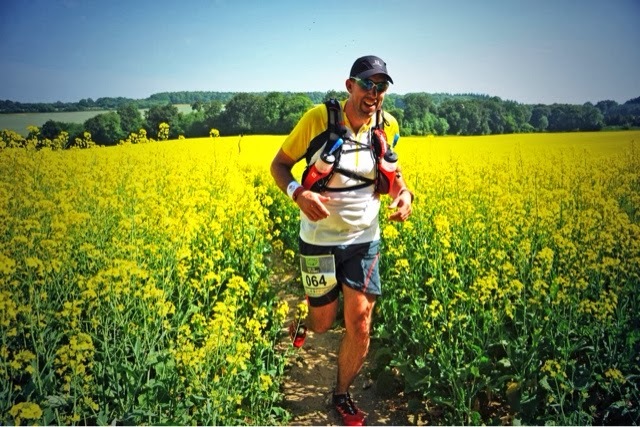 13th July, the big one, my longest race to date, the 100km Race to the Stones. The weather had been warm upto the weekend of the race, it didn't stop there. Saturday saw the mercury top 35c. Not the heat you want for 100km non stop. After the first 20km the heat did start to get to me. I did however bump into Mark Griffiths, the luna sandal runner I had seen at the NDW50. We spent along time together. At 50km I was close to heat exhaustion. Some time spent at the aid station sorted that out. After around 65km I got running again, until tiredness caught up, I walked in with the double Olympic medalist Alex Partridge and his friend Tom! A whopping 21hrs15 to cover 65miles. 21st July and I was back in the Olympic stadium running the national lottery anniversary 5 miles. A massive 80 rffs were also there. My feet hadn't recovered from the previous weekends efforts and were still swollen. I did however cross the line with two running buddies Chris Murray and So Nic. 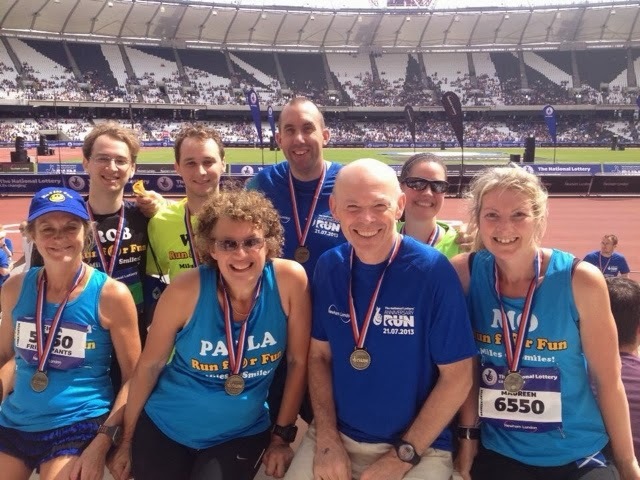 It was fantastic to finish the race in the stadium knowing my mum, brother, and his partner Alison were in the stadium, Fay my wife was running the course behind me! 27th/28th Thunder Run 24hrs. A Rff team of four including Carrie Morpeth, Sharon Parkin and Michelle Iddon. Another 10km loop to continually run as a relay in my team of four. It was also an unofficial hen do for Carrie. The weather lived up to its name in the evening with a large thunder storm and heavy rain. We were camped up next to the team Enigma. Much fun was had. 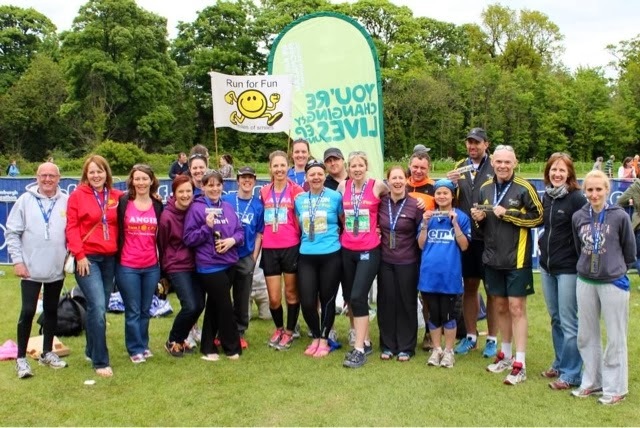 A Glastonbury for runners! 7th August was the final Yateley 10k, the series completed again. 10th August and back on the NDW. Michael Sartorius and myself sweeping the second 50 of this course. Starting at 9pm. Struggling again on tired legs, after the marathon distance at the bottom of Detling Hill, I let Michael keep his sweeping legend status as I missed out a few miles, running the final 6 miles with Michael. A good course recce and getting used to running in the dark. 8th Sept and the return of the marathons. The much loved Bacchus Marathon. Two lops of a course around Denbies Vineyard. Wine at every aid station which was around every two miles! A great race all about fun! The following week was my local marathon. 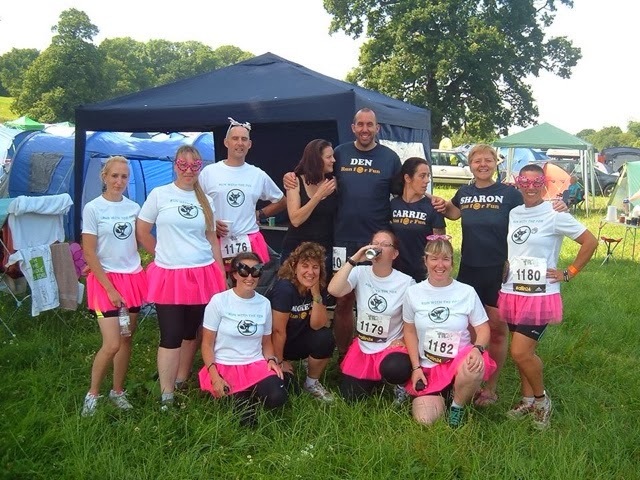 The tough Farnham Pilgrims Marathon. A route out to St Martha's on the hill in Guildford, then looping back, mainly on the NDW. A beautiful stunning route. Struggled near the end as I got my fuelling wrong. 29th Sept World major number two, the BMW Berlin Marathon. A completely awesome weekend spent in Berlin. A pb on the course that the marathon works record also fell a few hours before me. Enjoying evenings out with Hannah, Mark, Lucy, Hannah's mum, Shari, Nigel, Mia, Terry, Steve, Mo, Shauna, Mel, Mel's hubby and my wife. Loved it. 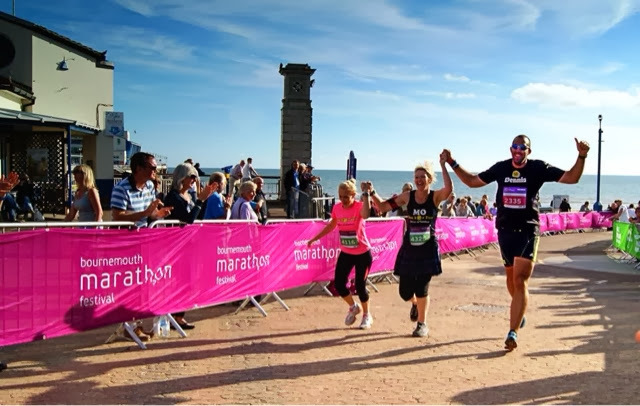 6th Oct and the brand new Bournemouth Marathon. A very hot day and tired pb legs I decided to help a fellow runner finish. I was struggling after the first few hills, and around mike 16 linked up with Mo and Rachel. We enjoyed ice lollies in the warm October sun. It was all about getting the job done! 27th Oct was the Bupa Great South. I've ran this four years running. This year I didn't enjoy it. A well supported race in what was very windy weather. 8th/9th/10th Nov The Druids Challenge. A tough race ran along the ridgeway. Day one was the longest of the days. 30 miles of constant wind rain and mud, crossing day ones finish line in 7hours. After a good start on day two, I eventually DNFd at 16 miles, cold wet and injured. It was game over. 1st Dec and the local mud fest, The Grim. 8 miles of mud and water on the military vehicle testing area. 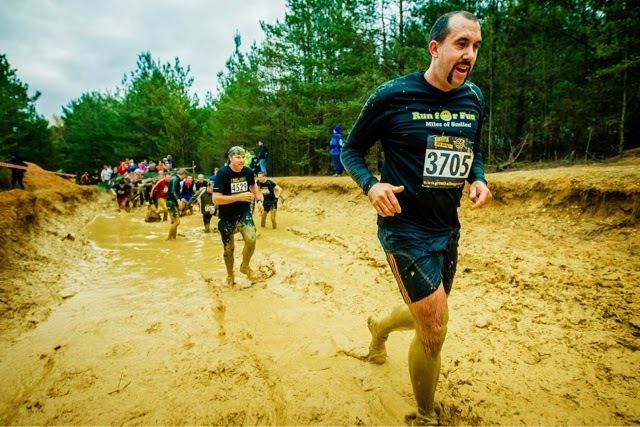 This race is all about fun and mud! 14th/15th Dec my first ever double. The Enigma Christmas Double. I had been looking forward to this race for a long time. Not just the challenge of two marathons in two days, but the social side of it. Fellow rffs Brenda, Kelly, Nikki, Mo, Carrie, Chris, May and Jo were running it. Support from race organiser Foxy and race director Karen. Plus support from Anjie, Sarah, Rebekah and Lorraine. 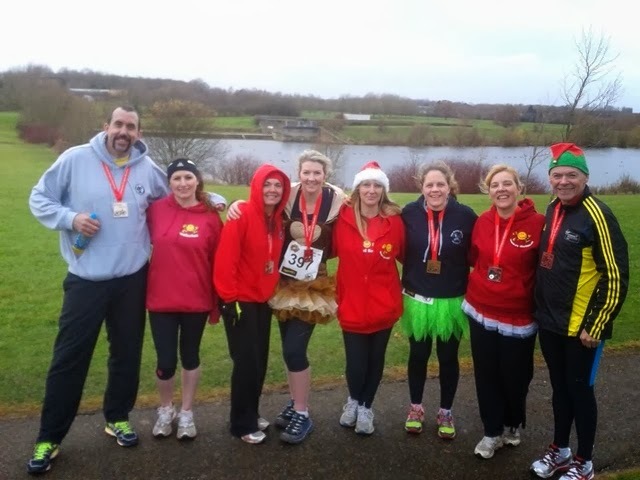 Also other running friends Dawn, Kate, Stefan, Emily and Emnett were also there. 7 laps per marathon on Caldecotte lake. 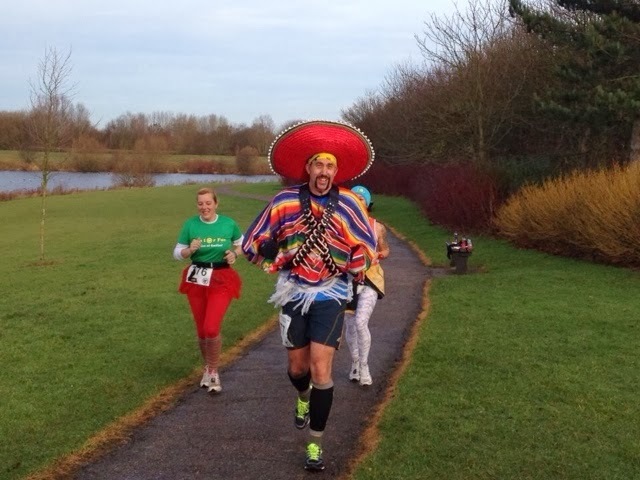 A third fastest marathon on day one was followed by a few second marathon dressed as a Mexican. A few pbs thrown in by Brenda and Stefan. Nikki ran her second bad third marathons! The final race of 2013, the Gutbuster. 10 miles of mud abc a ford crossing in Mortimer. I loved it! Finishing with a lovely medal, mulled wine and mince pies. It really was the cherry on the cake for 2013! !